Today I’m talking with Carolyn Keating of Wholesale 4 Creatives all about getting started with wholesale. Carolyn has a 10 year background in wholesale for other businesses and she has translated that into helping small creative businesses get into retail stores and get their products seen by bigger businesses. Today we’re covering a lot of information that is mostly aimed at product-based business, but there are some great tips for cultivating relationships and figuring out pricing information if you’re a service-based business. Some of the topics we cover are what wholesale is and why it’s beneficial, how you can price your products for profitability in the wholesale space, and how you can connect with people in stores and build relationships so you can be seen and stay top of mind whenever they are placingnew orders. We also cover a few of the ways that customer service changes when you are working in the wholesale space. Carolyn Keating is the owner of Wholesale for Creatives, a resource for product based businesses looking to develop their wholesale and retail strategy. Prior to launching her business, Carolyn spent a decade in sales with a NYC-based women's accessories company where she developed and sold products to retail chains throughout the country. Her mission is to educate small businesses about the industry’s best practices so they can successfully compete in the marketplace and avoid making costly mistakes. Today I’m talking about running a business as a side-hustle with Shannon Mattern. We chat about a lot of topics, including how she got started with her business and the transition she made to running it full time. We also talk about how you can run your business as a side-hustle in a way that benefits your business and the difference between that and running a full-time business. Shannon shares about creating a strategic plan when you’re running a side-hustle and some tips for balancing a full-time job, running a business, and self-care, as well as how you can transition to a full-time gig and the things that you need to do to prepare. Shannon Mattern shows side hustlers, bloggers, entrepreneurs and freelancers how build a website, grow an audience via online marketing and turn their expertise into income. You can think of Shannon as your WordPress BFF! Through her signature course, the 5 Day Website Challenge, she has empowered over 6,600 people to DIY their website with WordPress. Shannon’s mission is to empower those who want the freedom, flexibility and financial independence that an online business can provide by removing the tech barriers holding them back! In January of 2018, Shannon transitioned from side-hustler to self-employed. She shares her journey, strategies and tactics via her podcast, Pep Talks for Side Hustlers at www.peptalksforsidehustlers.com/itunes (or wherever you listen to podcasts). Today I’m talking about partnering with an OBM or team with Brooke Jackson. Brooke starts by explaining what an Online Business Manager does and how they work with business owners. We discuss the types of tasks an OBM can do and what they won’t do in your business. We then talk about building a team, with or without an OBM to help, including choosing the right people to hire, on-boarding new team members, and managing your team. Brooke Jackson is an Online Business Manager (OBM) for female entrepreneurs who are ready to take their business to the next level. She genuinely helps female online-business owners by taking over almost all of their current operations, business systems, team leading, planning & timelines, launches, and project management. Brooke has a passion and love for animals, worldly cultures, and online business. Start breaking down everything you do in your business and organize into daily, bi-daily, weekly, bi-weekly, monthly, quarterly. Start assessing yourself as a leader. Get to know yourself and your working style. Today I’m talking about managing entrepreneurial anxiety with Wendy Breakstone. We have a great conversation for you to listen in on today talking about why entrepreneurs tend to struggle with anxiety, how we can set and achieve goals in our businesses, and some recommendations for future planning. Wendy also talks about systems that we need to set up in our businesses that are fairly simple to help you get started and feel confident when you’re showing up in your business and for your clients. Wendy Breakstone is a Business Success Coach with more than 18 years of experience working with entrepreneurs and small businesses on their marketing, online presence, and foundational business systems. She got her own entrepreneurial start helping independent retail owners take control of their bookkeeping and business systems and soon transitioned to helping clients build and integrate ecommerce into their marketing and brand strategy. Today Wendy follows her passion for coaching entrepreneurs that struggle with business anxiety, overwhelm and frustration. She helps them take control and feel more confident by creating simple systems and strategies for long-term success. Wendy believes that when you simplify, success follows. Today I’m talking about how customer service is queen with Catherine Hildner. We have a great conversation about why customer service is important, what it looks like in our businesses, and how we can set everything up to be really customer focused. Catherine talks about her experience with both good and bad clients and how she has evolved her customer service over time. We also talk about how you create a one-of-a-kind experience without spending a lot of money. I suggest you go check out the Customer Service 101 Hack Sheet she references at the end of the episode – there will be a link to that in the show notes. Catherine Hildner is the creator, designer and heart and soul behind Kitty Meow: A Creative Boutique. At Kitty Meow you can shop beautifully designed paper goodies based on your mood, witty or sweet. Whether you're looking for something witty and even a little rude, or prefer sweet sentiments, she's got you. Catherine is also a wife, mother, anchor-loving philanthropist, and Customer Service Queen. Today I’m talking about accounting, bookkeeping, and client appreciation with Nadia Anderson. We cover a lot of topics in this show including the differences between accounting, bookkeeping, and financial planning, and the types of systems you should have in place as a business owner for your finances. We also talk about getting ready for tax season with quarterly taxes and deductions and how all of that works. Then we talk about client appreciation and how Nadia has used that to build both of her businesses and really create relationships that are ongoing so that she can continue to work with clients, vendors, and team members that she loves. 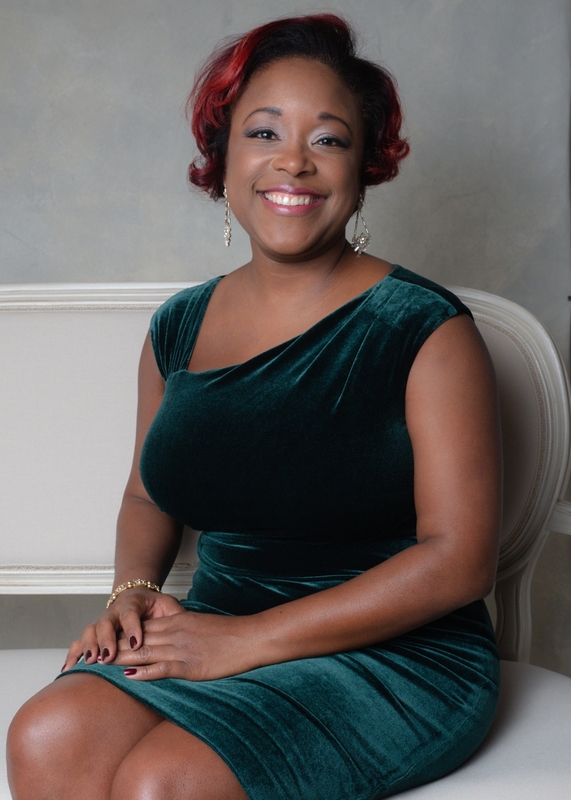 Nadia Anderson is the owner of Virginia Grace, an event management company that creates stress free celebration memories for its clients. She is a certified public accountant (CPA) and a chartered global management accountant (CGMA) with twenty years’ experience. In her accounting practice she supports creative business owners and nonprofit organizations with her unique blend of creativity and business aptitude and experience. She enjoys sharing information and giving practical advice for entrepreneurs to be successful. Follow her on Instagram and Facebook @NadiatheCPA and @vagraceevents. 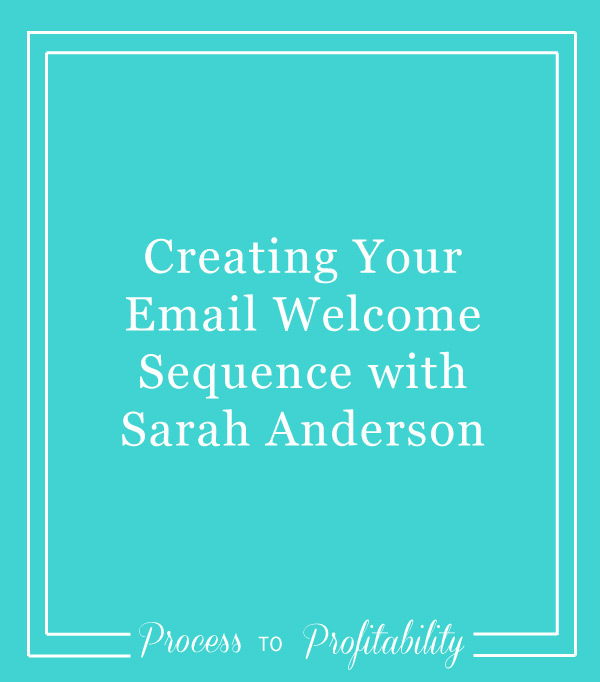 Today I’m talking with Sarah Anderson about creating a welcome sequence for your email list. We go into a lot of detail in this episode about why you need a welcome sequence, what you can include, how you can set it all up, and really making sure that this is another way that you’re serving your audience by giving them as much value as you can. Sarah Anderson is a copywriter and email marketing strategist. She believes that building a relationship with your list is one of the most valuable investments you can make in your marketing. That's why Sarah works with business owners who want emails that nurture subscribers, give tons of value, and convert into sales. Today I’m talking about planning for maternity leave with Arianna Taboada. We cover a ton of information specifically for expecting entrepreneurs, but even if you are looking at planning for the future and taking a leave in your business, this is a really helpful episode. We talk about how a baby is going to affect your business and Arianna’s tips for babyproofing while you’re still in the planning stages. She also gives us tips on changes we can make to our website and how we can let our current clients know what our plans are in advance so everyone is prepared for what’s to come. She also talks about building a support network when we find out we’re pregnant and why it’s important to have a transition time to learn the balance between new motherhood and business. Arianna is a maternal health expert, author, and owner of a consulting firm that helps female founders intelligently design maternity leave plans that meet their business model and personal needs. Prior to her consulting practice, Arianna worked on maternal health issues for over a decade as a health educator, a social worker in a mental health clinic, a reproductive health researcher, and a yoga therapist. She draws from her expertise as a maternal health professional, combined with her experience as a business owner and mother, to provide highly personalized services for service-based entrepreneurs. She is deeply committed to providing on-going, multi-faceted support that meets the professional, physical, mental, social, and emotional needs of entrepreneurs as they babyproof their business and navigate new motherhood. Arianna lives, works, and plays with her family in Berkeley, California. Review or develop your standard operating procedures for your core business operations. Conduct a time audit for 2 weeks. Learn from other entrepreneurs with similar businesses and what they did for maternity leave. Today I’m talking about copyrights, trademarks, and all things intellectual property with Caroline Fox. We cover a ton of topics, so this is a busy episode but it’s full of great information. We talk about copyrights – what they are, how you can get one, why you need one, and what you can do if someone steals your work. Then we talk about trademarks and why they’re important and how they can benefit you. Caroline gives us some great insight into steps we can take to make sure that our business is set up legally and that we are taking advantage of everything that we can so that our small businesses can really get out there and grow with the protection that we need. Caroline Fox is the principal attorney at my law firm, CJFox Law, and has been named to Virginia's "Legal Elite" list for the past two years. She also founded the Engaged Legal Collective, an educational resource with templates, guides, and workshops for wedding pros. She’s been lucky enough to speak at conferences like Wedding Wire and Destination Wedding Planners Conference, and has written for Wedding Business Magazine and Rising Tide Society. She lives in Richmond, Virginia with my dog, and is otherwise pretty boring. Today I’m talking about find your personal style with Meghann VanderBaan of MVB Style. She shares why having a personal style is beneficial for entrepreneurs, finding your own personal style, and how we can find the right pieces for our wardrobe. We talk about dressing for everyday life and conferences, as well as how we can put together outfits that make us feel confident. Meghann VanderBaan is not your typical personal stylist who recommends fancy designer outfits. She helps moms and business owners ditch the yoga pants to gain confidence. Through her style guides and coaching programs, she enables women to dress themselves beautifully for the lifestyle they actually have. Today I’m talking with Christina Scalera about understanding website policies and the GDPR. Christina gives us her insight into the GDPR and what it means for all of us as small business owners, as well as things we can be doing to get our website policies and terms & conditions up to date so that we are on track legally and it’s not something we have to worry about down the road. We talk about newsletters and opt-ins, the cookie banner, and some action steps you can take today to get started on this journey without freaking out about it. Christina Scalera is the attorney and founder behind The Contract Shop, a contract template store for creative entrepreneurs, wedding professionals, and coaches. Three years ago, Christina found herself dreaming of pursuing a more creative path, and she started to look for alternatives to her in-house legal job. She explored everything from teaching yoga to becoming a freelance graphic designer to opening an Etsy shop. In the process, she ended up coming full circle by creating a business that brought the benefit of her legal training to help her fellow creatives. When she’s not staring at a computer or awkwardly standing on cafe chairs for the perfect overhead latte photo, you can find her in the woods doing things that are sometimes dangerous but always fun, like riding horses, skiing and reluctantly camping.